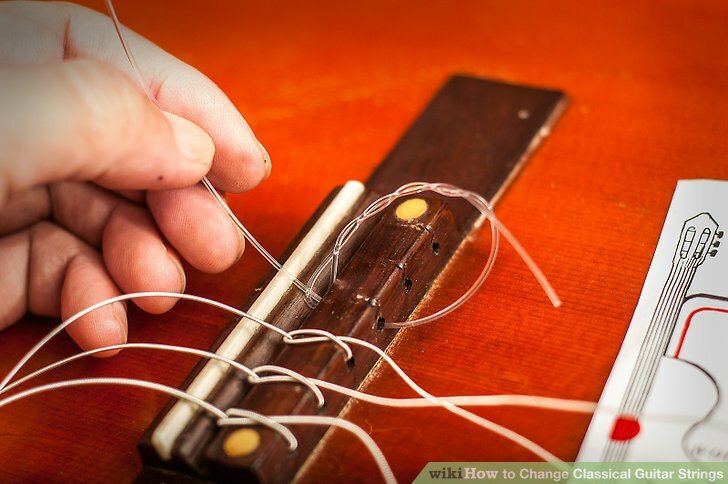 If you're in a hurry, grab a pair of scissors and snip all six strings. 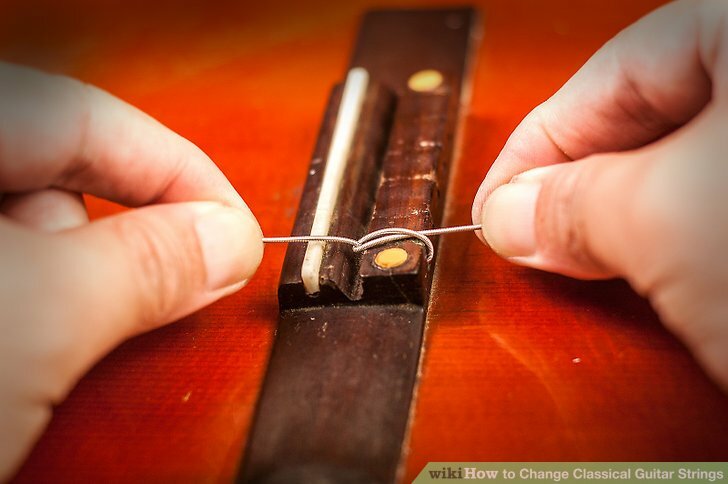 Be sure to remove the small s**** parts around the bridge when you finish cutting. 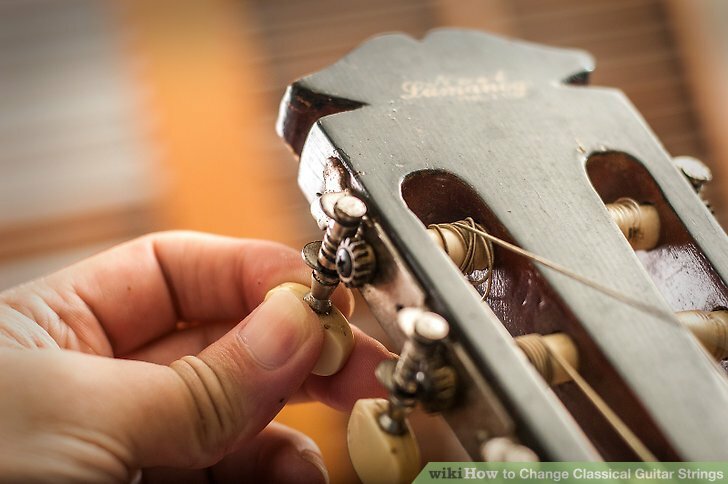 Put the new 6th string through the corresponding hole in the bridge. 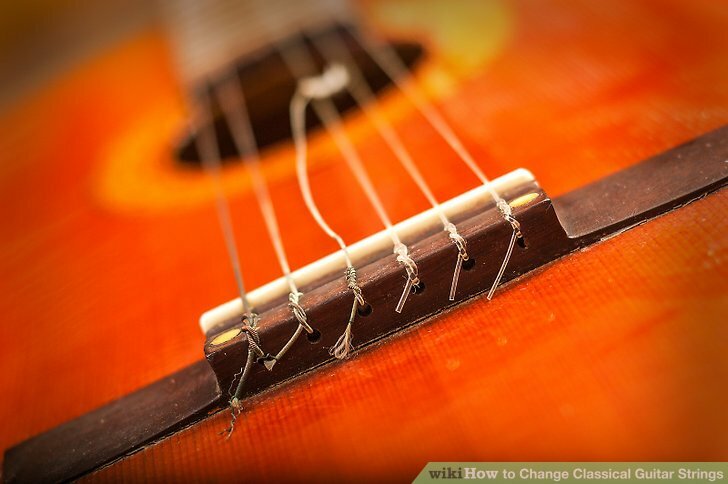 Push it through the hole so that about of string is sticking out towards the base of the guitar. 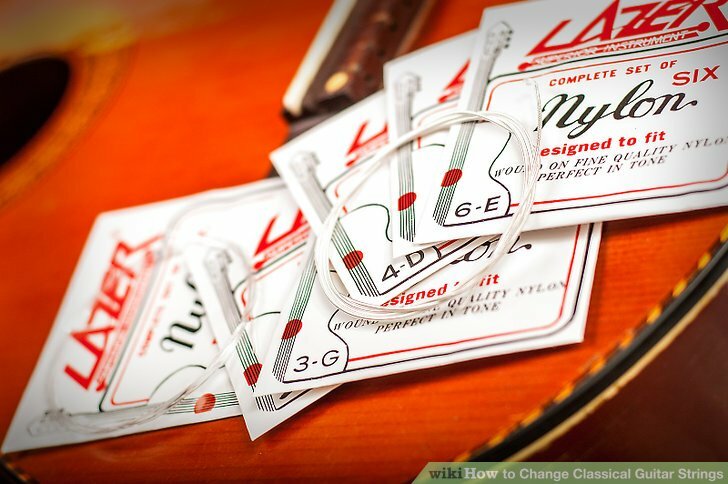 Be sure that you're using the thickest string in your pack as the new 6th string. 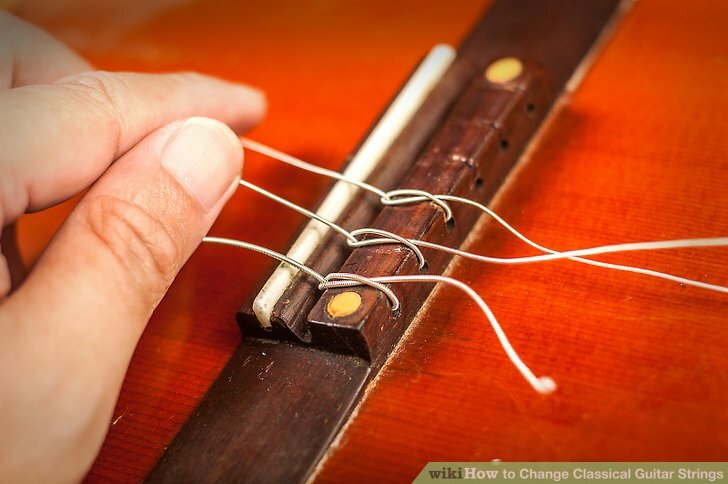 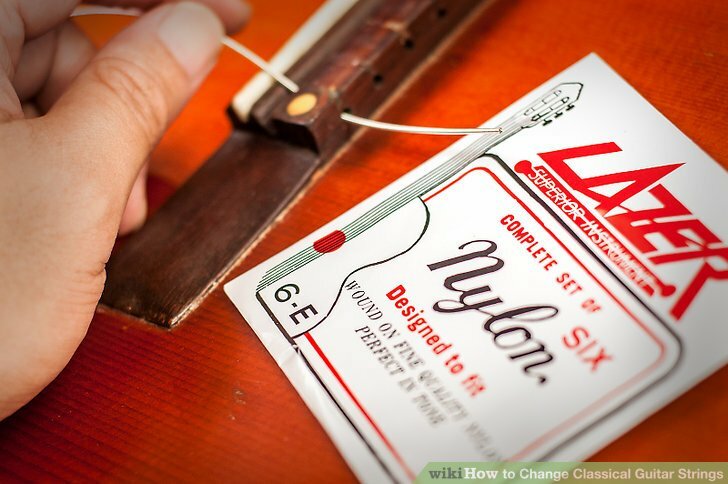 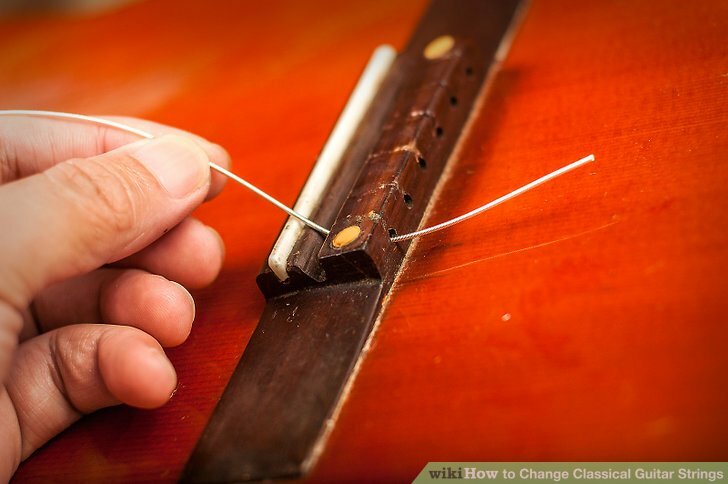 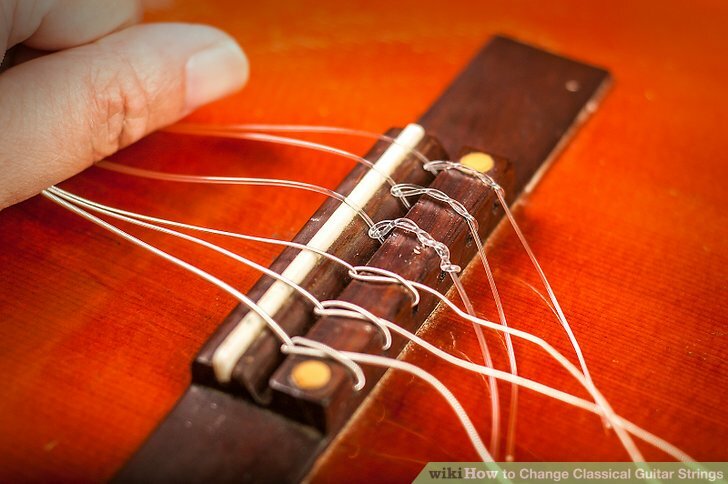 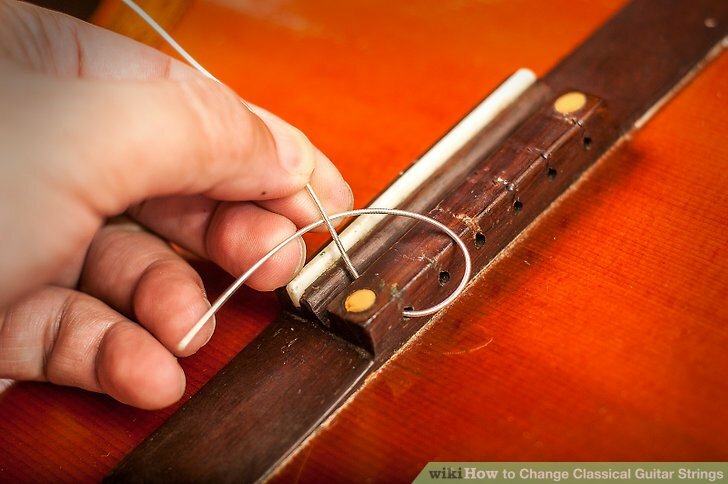 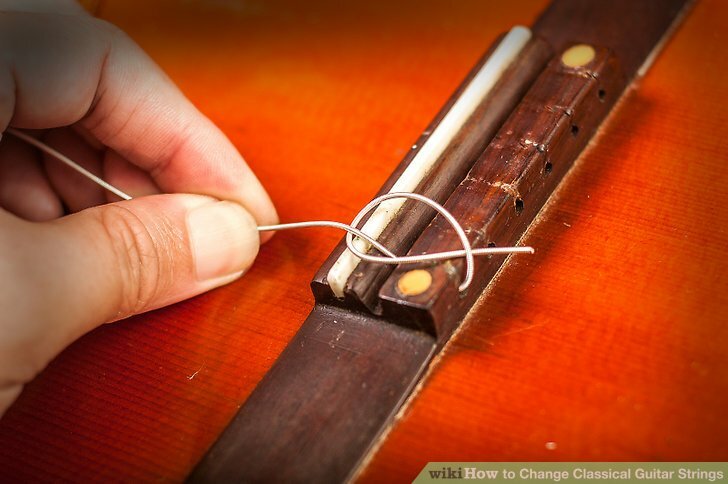 Pull the 6th string tight until there is about of slack in the middle of the neck. 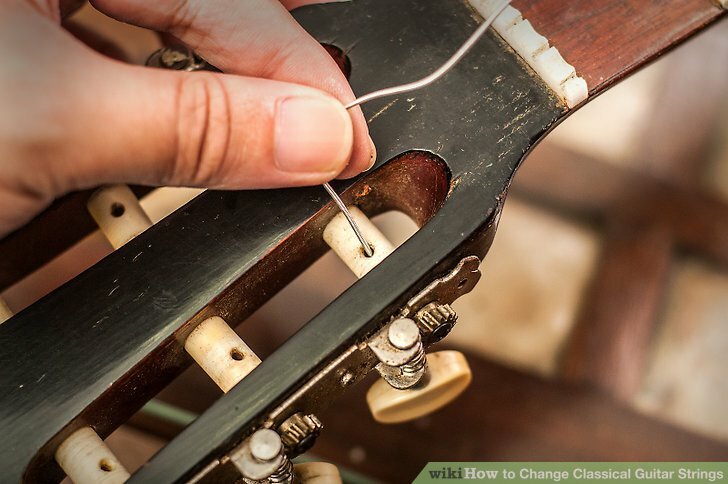 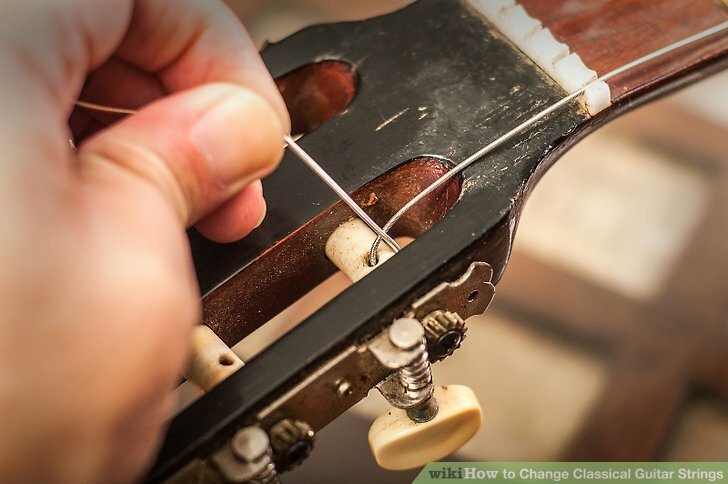 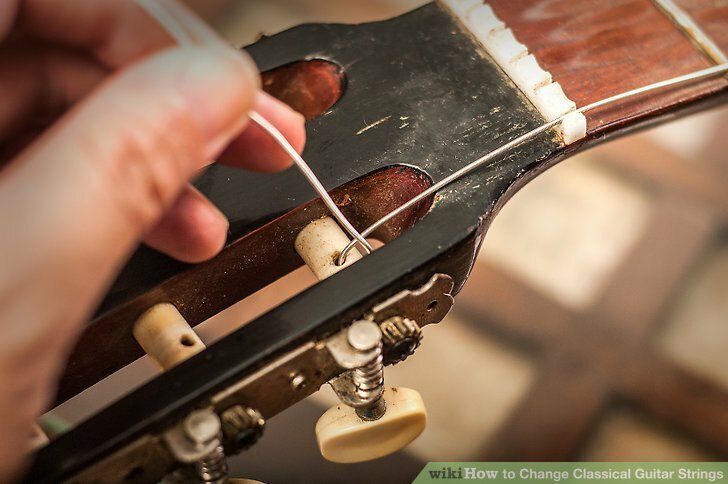 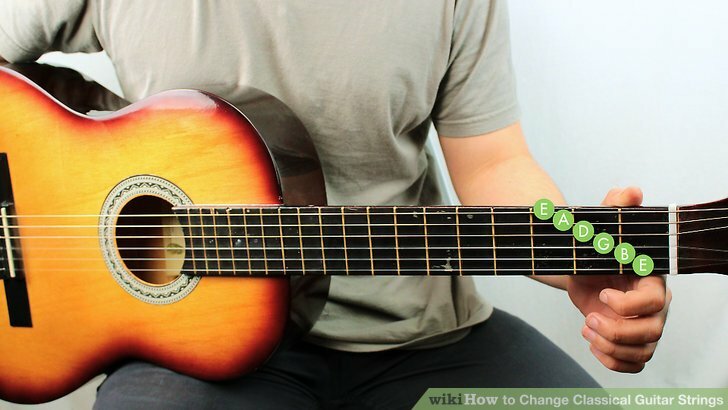 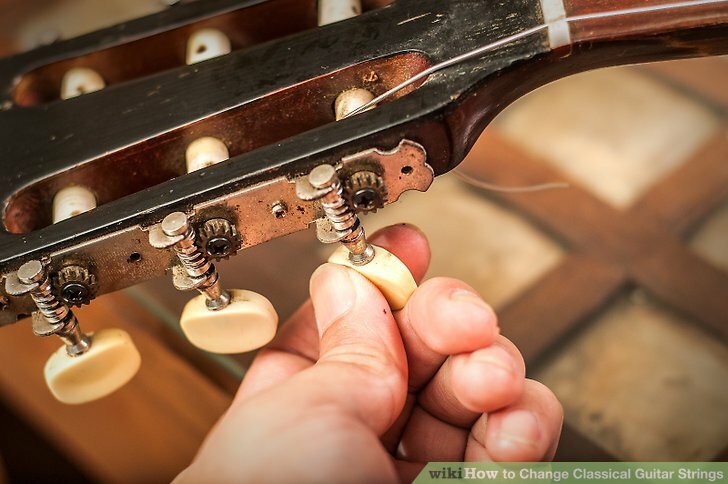 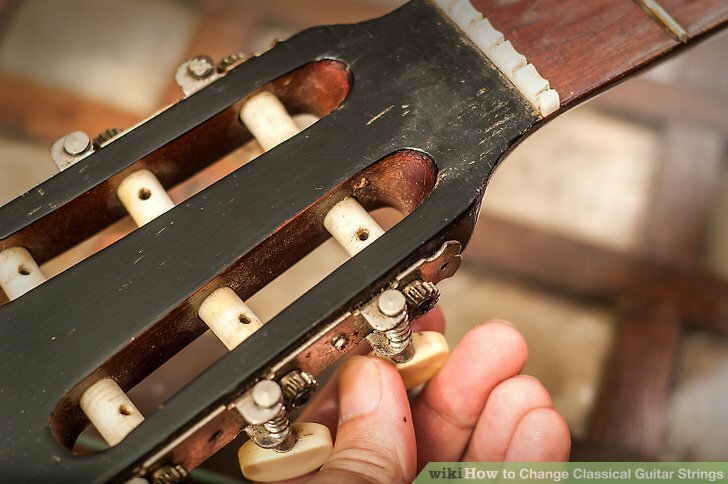 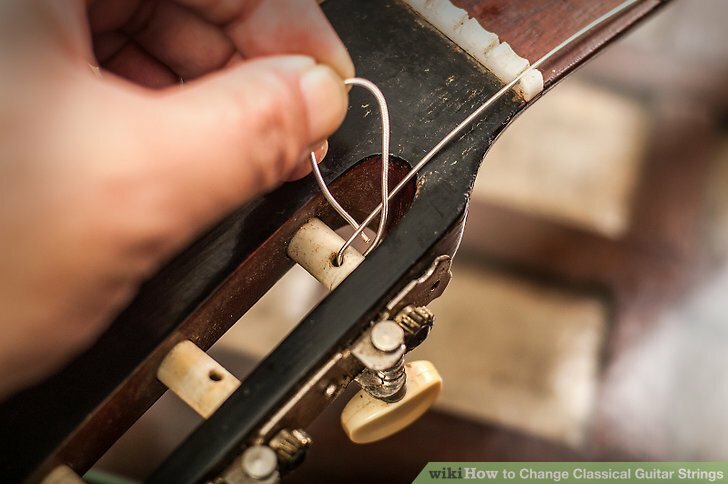 You want to leave some slack so that you can tune the guitar without risk of breaking the new string.